Whoa! There has been so much turbulence these last few days! I am so happy I learned the spirit of the Andes long ago. There is so much going on I could feel overwhelmed. The Andean mindset goes a long way in helping me keep my composure. That spirit comes from the indigenous circular thought process that Merri and I learned in Ecuador. The year we lived at our hacienda with an Ecuador Taita Yatchak and his apprentices taught us how to think in this Andean way. The apprentices never expected (except for festival days) the future to vary from the here and now. They lived to enjoy the here and now instead of sacrificing every moment for the future. Thus when we view events, (such as a tumbling economy) as bad or something that made us feel good (due to a booming economy), they did not react. Why? They enjoyed events as they were and as they came. This created an inbred sangfroid, a wellspring of calm and contentment during the most turbulent times. Though the apprentices had no material wealth and most earned about $30 a month, their joy and happiness was infectious. Laughter always just waiting to bubble over at any moment. The turbulence we are seeing now would not bother them much at all. Crashing oil prices will hurt Ecuador a lot, especially the poor. We’ll see why in a moment. First, let me share some of the other stuff that is bouncing around that makes life interesting. 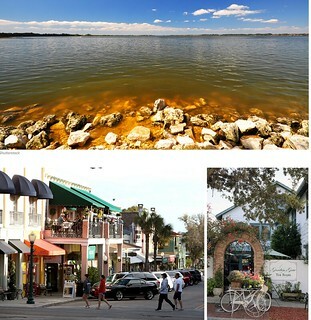 Well, Mount Dora was just featured as one of 11 most stunning towns you must visit. 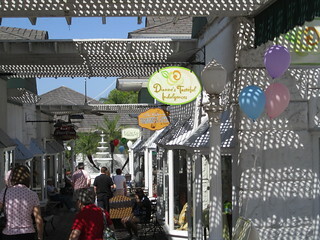 “For southern charm in a small town, take a side trip to Mount Dora”. Buzzfeed says in “11 stunning Florida towns you need to visit”. More people are pouring in. Then how about Cuba? In 2007 I wrote in Beyond Ecuador & Cuba, that Cuba, after Mexico was the potential #2 competition for Ecuador. I expected Cuba to open up around the time the big wave of baby boomers began to retire. Now that event is near! We have been keeping our eyes open and in 2011 I started sending Canadian Researchers (and our Super Thinking Spanish teacher) to Cuba to investigate for us. We decided to avoid Havana just as we avoided Santo Domingo when we launched our Dominican Republic Tours in the 1990s and Quito-Guayaquil when we focused on Ecuador in the late 1990s and 2000s. Our research is centered around the Frank Pais International Airport, which is a small-size airport located 8 miles southwest of the city of Holguin, the capital city of the province of Holguin. We featured photos of the countryside in this area in 2011. What could create more turbulence than the crashing price of oil? The plunge in oil prices is one of the biggest weapons in the return of the cold war with Russia. Has it gone too far? North Dakota’s booming economy has helped the US economic recovery. Have falling prices gone too far? Bringing Cuba back into the Western fold probably did not make the Russians too happy either. Yet Measure HR 5859 goes much further. I cannot help but ask how it won unanimous initial approval in both the Senate and House last week. This law mandates U.S. sanctions again Russian arms and oil, plus authorizes providing lethal assistance to Ukraine’s military. Those provocative steps go beyond what the White House and European Union have been willing to do so far and yet the vote was unanimous. When was the last time that the Democrats and Republicans, the House and Senate and President agreed on anything? This makes me suspicious that there is something I do not see. Falling oil prices will create some incredible opportunity in Ecuador as well. What turbulence and potential for good and bad. Special Ecuador real estate bargains, extra investing and business opportunity and risk of more war. So much to get excited about. Let the spirit of the Andes help you remain calm in the eye of the storm. There will always be opportunity and risk of war. Fulfillment and peace of mind come from within. Neither the good nor the bad can hurt you in the here and now. Join us this winter in Mount Dora. See our winter course schedule in Mount Dora here. 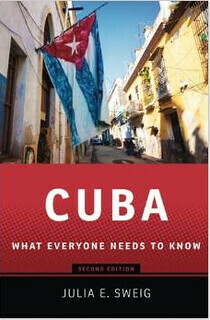 “Cuba, What Everyone Needs to Know” by Julia E. Sweig.